I decided to go with the collage design because I love showing a year in review, and I had all the pictures already! I didn’t have to plan early or choose just one family picture that has a toddler, a 4-year-old and slightly uncomfortable in their skin right now parents, all looking good at the same time. It was so much easier. I needed it to be easy, or cards may not have happened this year. haha. 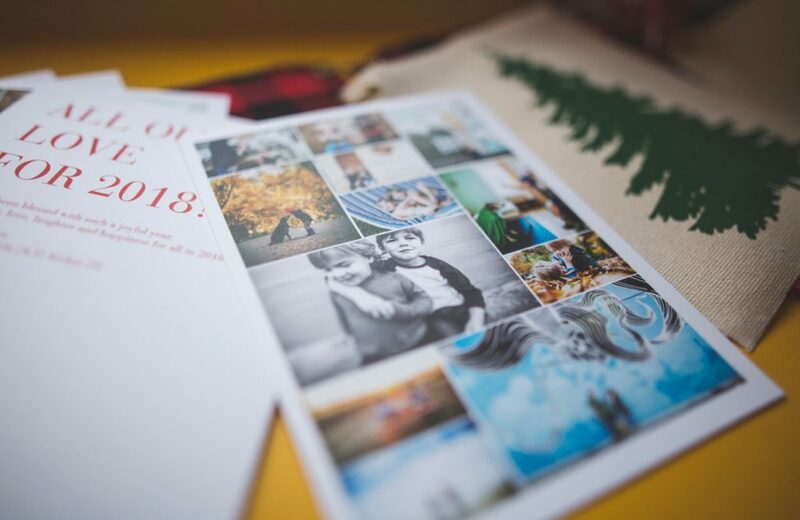 The best part about the collage style cards are, all the important moments and milestones that were captured during the year are all being shown and remembered on one page. Of course, it was hard to cut those moments down to any specific number, but trying to keep just the biggest of milestones and memories in mind was helpful. 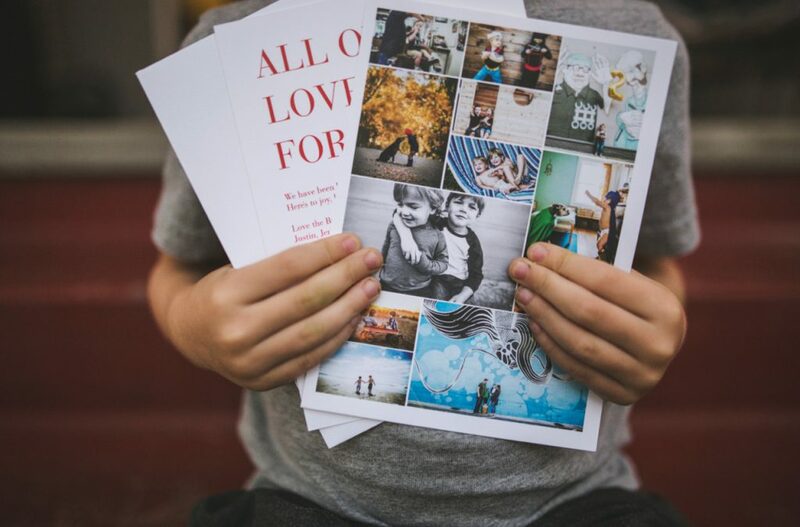 It was so easy to order from Pinhole Press, I actually got it done in about 15 minutes… Their site is so simple to use. I uploaded my images and was able to see and pick from all my pictures on one screen. There was a preview of the entire card, so it was very easy to proof. I ordered and got my cards in less than a week. 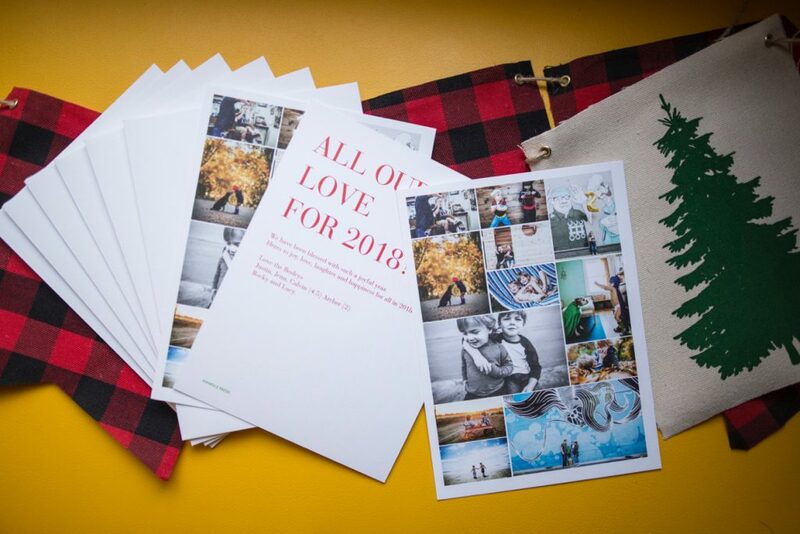 We were so impressed with the quality of both the cards and envelopes!